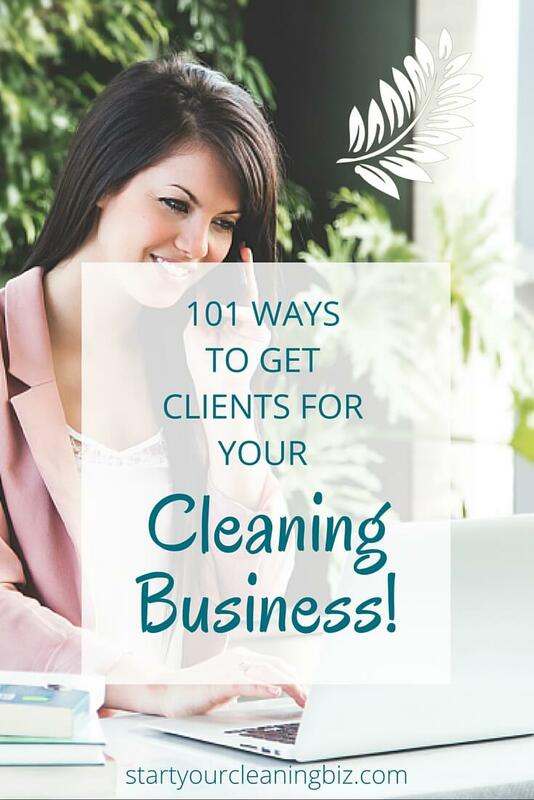 Stuck for ideas on how to get clients for your cleaning business? We have the answers! Below we’ve packed in 101 ways to find cleaning customers for all stages of business. So if you’re just starting out or you’ve been in business for years, you will find something that you can use. Pick a type of customer that you would love to have, for example, professional couple, family, senior, office or shop. Then think about what would appeal to them about having a cleaner. Could this be more free time? Coming home to a lovely, clean house to relax in instead of needing to mop or seeing a dirty basin? Have them in mind whenever you are writing ads or flyers. Understand your customer – why they would use your service. Talk to them and appeal to those reasons. Pick a memorable name and logo for your business. Think about colours and how they would appeal to your ideal customer. Do some online research on branding before making a decision. (have a link here on branding). Think about the time of the year – ramp up your advertising at times when more people are thinking about having a clean home (family coming etc) and don’t bother too much when everyone is on holiday. End of financial year or during February are both great times to advertise a commercial cleaning business. For home cleaning or window cleaning, November and December are busy months as families prepare their homes for lots of visitors. Keep them balanced and clean looking. Consider using a graphic designer to create your flyer so that you present in the best way possible and don’t give an impression of new/unreliable/risky/too cheap. 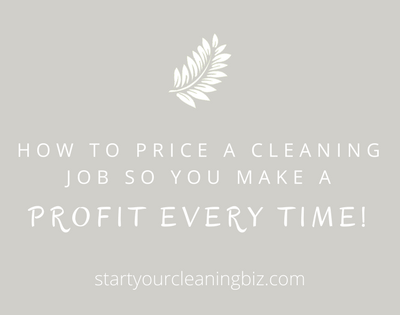 It’s worth investing a little amount of money starting with an attractive, effective flyer rather than using a template that hundreds of other cleaners use too! When you are starting out and haven’t got any cleaning customers yet. Ask friends and family if they know anyone who needs a cleaner. You need to start somewhere! Give them business cards to hand out to anyone interested. Use a magnet on the side of your car advertising your services. Include a logo, short slogan and contact phone number. The only thing to remember is to keep your driving habits above reproach! Put flyers in letterboxes in suburbs that you want work in. Put flyers up on local noticeboards in shopping centres or commercial streets. Look out for ones run by local service organisations like the Lions Club. For a very small amount your flyer can be displayed in a closed noticeboard. Hand out flyers at local festivals and weekend markets. Volunteer with a local community group where you will come in contact with lots of people. The other volunteers will ask you what you do – cue networking! Talk to your hairdresser or beautician – they are incredibly well connected. Leave some business cards for them to hand out. Ask if you can put your business card in cafes and corner stores. Advertise in local papers – but keep it small and targeted. Advertising in newspapers can become expensive very quickly with little results, so monitor how many calls you get and how quickly you make back your investment. If you live on a busy road put a sign out in the front yard of your home (discreetly, of course and check with your council first! ), or a sign on or near your front door. Use a great message on your phone that promotes your service. It can be as simple as ‘Hi, you’ve called X cleaning service and we are committed to providing the best clean possible for you. Please leave your name and number and we will get back to you asap.’ That way everyone that rings you will know that you know provide a cleaning service. Join the local golf club, gym, walking group or similar. It gives you a great opportunity to network with other people. Have an introductory rate (1st clean) then a set rate. Advertise it on your flyer. Team up with another business and share the costs of flyers (one side each). Team up with a cleaning supplies company for referrals and have a joint stall at a local market. Join the local business chamber or BNI chapter. They are committed to mutual referrals and the best thing is that they never include competing businesses in the same chapter. Register at your local business enterprise centre – they can send customers your way. Find a mentor or business coach that can hold you accountable and refer you to their network. Send an sms to everyone you know telling them about your new cleaning service. Notice a home that has been recently sold, built or leased? Put one of your flyers in the letterbox. 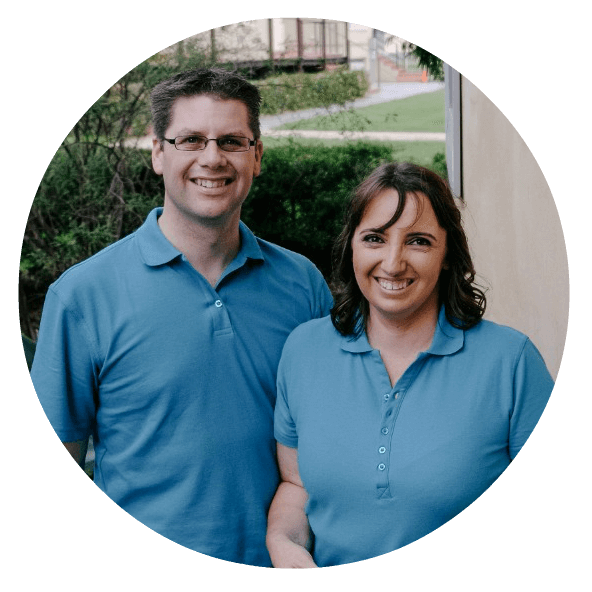 The new owners may thank you for solving the problem of finding a new cleaner! Leave bookmarks with your details in books at libraries or ask if you can put a flyer up on a noticeboard there. Go for a drive around your local area and look for small office complexes or shops. Make a list of professional services (they usually don’t like cleaning their own offices), approach them and offer to give them a quote. Watch out for new office complexes being built and put flyers in their letterboxes when they are moving in. If you are looking for window cleaning, look for cafes or shops that have windows that are dirty. Go in and offer your services. Leave flyers in letterboxes of commercial complexes and office buildings. Look for businesses advertising on Gumtree looking for cleaners (they do!). Offer a referral deal to your existing commercial customers – one discounted clean for every successful referral for a business nearby. 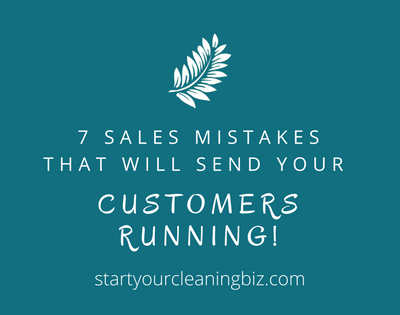 When you email your invoice, ask if your customer knows anyone who needs a cleaner. A-frame out the front of the house while you are working (with permission). Leave spray packs for stain removal with clients (with your details on the label) Great for when their family/friends visit and staff see them. Have a magnet with your contact details and give it to your customers. Use an email signature and quote from a happy customer at the end of your emails. Sponsor a prize at a local school event. Provide a free window clean or spring clean as the prize. Gather testimonials and use them on your website and flyers. This provides social proof that people are happy with your service. But make sure you have approval to use the quotes. Put flyers in the neighbour’s letterboxes of your existing jobs. Let them know that you are cleaning local businesses and are happy to provide the same service to them. Use a trailer on the side of a busy road to advertise your cleaning service with a small billboard. Watch out for clearways and make sure it’s not blocking traffic in anyway. Keep a record of all the quotes that you do, including contact details. If you aren’t successful in getting the job, give them a call in 6 months time. They may not be happy with the cleaners they chose, or are ready to put you on now. Thank your existing customers once a year with a small gift – they will be delighted and more likely to refer you to others. Ask politely for referrals when you finish your cleaning job. Send a handwritten thank you card to your best customers and include a couple of business cards. Subscribe to Source Bottle and respond to media callouts that fit. Anything to do with stain removal, cleaning contracts and business could be a great opportunity to promote your service. Advertise on the back of a shop-a-docket in supermarkets. If you are aiming for an older market of customers, don’t overlook Yellow Pages! It’s surprising how many people still use them. Put your logo on your work clothing. Approach your local community radio and pitch the idea of presenting a segment on cleaning hacks and tips. Hand out balloons to families at festivals with your details on them. Families can’t resist balloons! Consider doing public speaking. Give talks on spring cleaning, eco cleaning or germ control at local community centres and seniors groups and give out your business card or a special offer at the end. Consider participating in the group envelope flyers that are delivered to people’s homes. Sponsor a community centre newsletter and have an ad in it. Partner with a real estate agency for end of lease cleans – but make an appointment to go and see them. Do some research on the agency online and prepare a good presentation with a proposal to follow up. Don’t just turn up or leave a flyer and expect to get results. Real Estate agents and Property Managers really hate cleaning companies that simply leave a flyer every few months! Apply for local business awards. The exposure that you gain in local newspapers is invaluable! At the end of the year hand out calendars with your contact details on it. 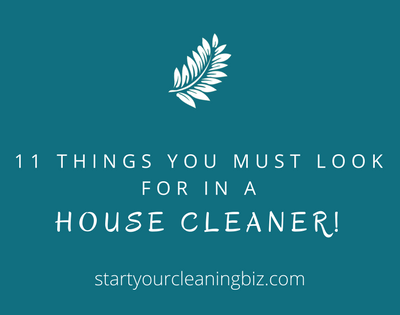 Great for house cleaning customers – especially older ones! Niche into one service then back it up with sponsorship. As an example, if you are providing an eco service, sponsor an environmental group and advertise the fact you support them. Attend trade shows and business expos and talk to stall holders about their cleaner challenges! Be prepared to hand out your business card and collect their details to follow up. Sponsor a local sports team. Each week their supporters will see your business logo and will be more likely to use your services. Make a welcome pack for new clients including the branded cleaning spray, magnet, information about your service, extra business cards and your logo on the bag. Ask local real estate agents if they have a welcome pack that you could include your details in. If they don’t, consider putting one together yourself and post it online for people to download. Made a mistake? Apologise with a hand written note. Your efforts will go a long way to repairing the business relationship and you may very well gain a loyal customer willing to refer friends and family to you. Write letters to the editor in the local paper about local issues to do with cleaning. Team up with a local builder and contract with them to do final building cleans. Phone ahead and make a time to go and talk to them personally. Consider writing a newsletter each month and post it to all of your clients. 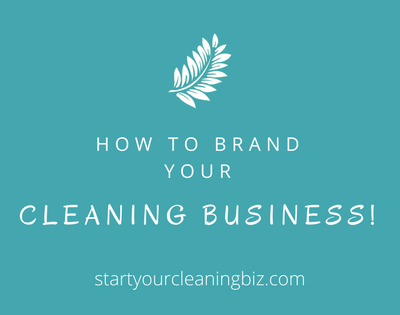 Write short articles on hints and tips for organizing and cleaning stains, or local events coming up (think about what would be most appealing to your clients). When they see how you go above and beyond, they will be more likely to refer you to other people. Give away pens at corporate cleaning contracts. There are bound to be workers there that would love a good cleaner! Offer gift cleaning packages for people leaving hospital or families that have just a baby. Family and friends buy 5-10 hours of cleaning/housekeeping. Leave flyers in visiting rooms in hospitals. While you are there, have a chat with the midwives for more ideas of reaching new mums and their families. When you are talking with customers, make sure you give them referrals to other local businesses. Those local businesses will then be more likely to refer other customers to you. Create a quirky t-shirt and give one to loyal customers! Same can be for umbrellas and usb sticks. Create a (stylish!) bumper sicker for cars. Give them out to customers, friends and family. Have pens and pencils with your details on them and leave them in strategic places where people use pens to fill out forms like the local post office or newsagency. Join a business mastermind group that meets regularly to swap referrals and business building ideas. Ask everyone who enquire of your services how they found out about you. That way you know what is working and what isn’t. Develop more official referral agreement with other businesses, like window cleaners or carpet cleaners and removalists. Leave coupons or special cards with them so that they can be tracked and you can give them a thank you bonus. Celebrate milestones in your business by having special, time limited promotions. So that could be getting your first employee, your first year in business or something similar. These advertising ideas won’t necessarily create an instant flow of customers, but they will over time. When you are promoting your service on the internet it takes time to build trust and engagement. Then, and only then, will people start contacting you for your service. If you have a website, use Google ads to drive people looking for cleaners to your website. Register your business on Google maps, being sure to include all of your contact details (this is great for website SEO too!). 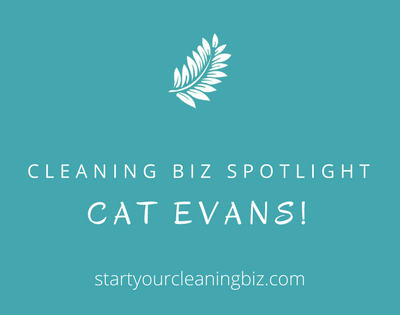 Use case studies to show how much of a difference your cleaning service makes to peoples lives. Have a frequently asked questions and answers sheet as a pdf available on your website for people to download all about your services. Use it to address any concerns they might have to hiring you as a cleaner and end on all the lifestyle benefits they will have instead. They are more likely to keep your details that way and hire you. Banner advertising on a local blog that has a good amount of traffic. When people click on your banner ad they are taken back to your website. Upload videos on spot cleaning and spring cleaning on YouTube. Again make sure it links back to your website. Set up a twitter account. Tweet links to your website, blog, youtube channel, Facebook page, blog posts, local attractions and services. Respond to other local businesses and build up a relationship with them. This can lead to referrals. Make sure you list your cleaning business on your personal Facebook profile so that people can find it easily. Include a link to your website or at least a contact phone number. Set up a Facebook page and link to lifestyle type tips/articles that fit the profile of your ideal customer. List your business and contact details on local online directories like True Local. Link back to your website. Run a spring cleaning challenge online. 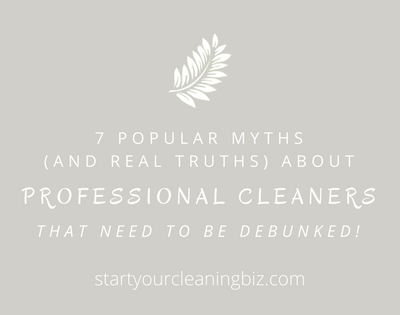 When participants find it hard to keep up, they’ll think of hiring you as a cleaner! Use retargeting ads through Facebook and Google ads to advertise to people that have visited your website and may need to be reminded to call you. 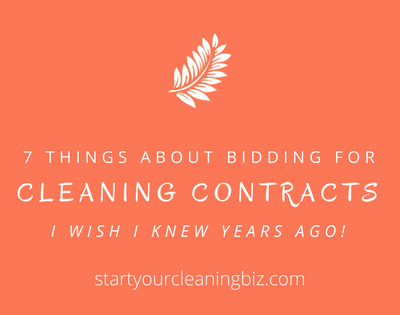 Build an email list by offering something valuable (but cheap for you) like an ebook on spring cleaning or decluttering a house with your details at the end. Send out a regular email newletter giving different hints and tips on how to remove stains and other cleaning hacks. Use Facebook ads to reach busy professionals in your area. Join local Facebook groups for your area. Don’t spam them, but be really helpful and give useful recommendations. That way you become known as a great person and business will automatically flow your way. Create a LinkedIn profile then join local groups and be helpful. If you make a great impression and someone is looking for a cleaner, you will come to mind. Optimise your LinkedIn profile and update your status regularly, so that your connections are reminded that you are around and providing a valuable service. Create an infographic on cleaning techniques or spring cleans and promote it on Pinterest. Link back to your website. If you are starting to consider joining one of the online cleaning services apps – just look over them carefully, contact one or two of the cleaners already using them and find out how they go. Consider setting up your own online booking system so that it’s easy for new customers to book a time with you rather than trying to chase you up in person. Comment on blogs in your local area and be extremely helpful without overly promoting your services. Promote local attractions on social media and every now and then remind your followers that they can have more time to enjoy them if they have a cleaner! We know that there will be at least one idea above that you can use to find fabulous cleaning customers. If you have any ideas that you've used that work, or any questions, share them below!